Edited by Destroyer History Foundation from BUAER photo 332782. Source: Naval History & Heritage Command. 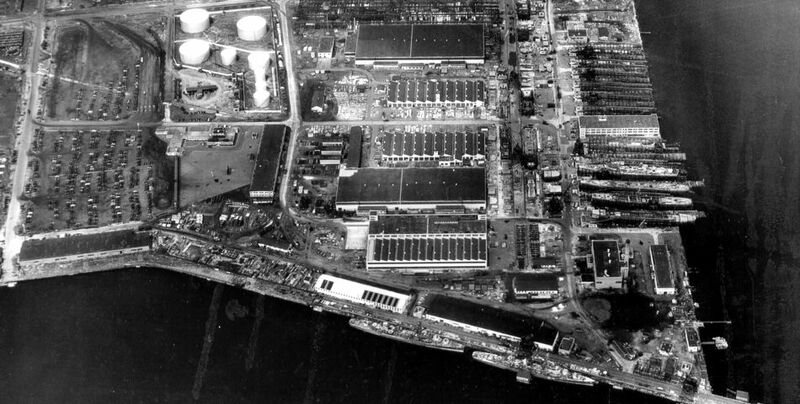 Federal Shipbuilding & Dry Dock Co., Port Newark, New Jersey looking north, 13 July 1945.